After taking heat earlier this year over allegations of political bias, Facebook announced that it's replacing fallible humans with new algorithms to select items for its "Trending" topics feature. The social network said in a blog post on Friday that it will automate the feature rather than have people write the details for Trending Topics. Algorithms will pick the topics that show up in the feature, which introduces users to the most talked-about and relevant topics on the site. 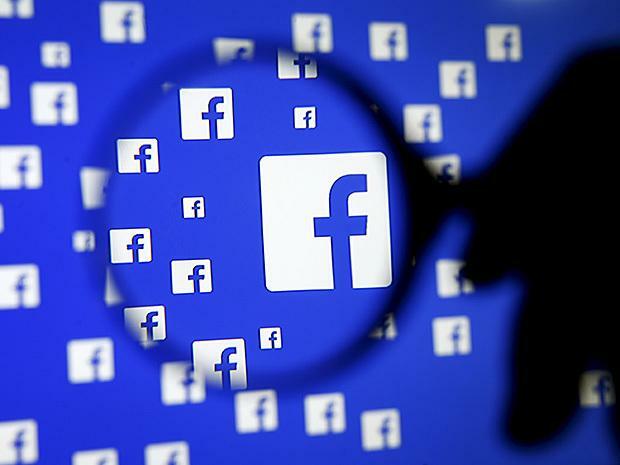 Rather than seeing a description, users will see a word or two about the topic and "the number of people talking about that particular topic," Facebook said. "Our goal is to enable Trending for as many people as possible, which would be hard to do if we relied solely on summarizing topics by hand," the company wrote. "A more algorithmically driven process allows us to scale Trending to cover more topics and make it available to more people globally over time. This is something we always hoped to do but we are making these changes sooner given the feedback we got from the Facebook community earlier this year." The new algorithms got off to a bad start, though. On Monday, a phony story saying that Fox News personality Megyn Kelly had been fired from the network was listed under Facebook's Trending topics. The story, which is inaccurate, was removed but not until it had created a stir, as much for Facebook's error as for the fake story itself. In May, Facebook found itself in the middle of a firestorm following allegations that the company routinely suppressed politically conservative news stories in its Trending feature. Even if posts about conservatives like former Republican presidential candidate Mitt Romney and House Speaker Paul Ryan had received enough hits to make the list, those posts were pushed aside in lieu of stories that hadn't drawn as much attention. The issue gained enough attention that U.S. Sen. John Thune (R-S.D. ), chairman of the Senate Committee on Commerce, Science and Transportation, sent an open letter to Facebook CEO Mark Zuckerberg, asking him to respond to questions about the allegations. While Facebook said its own investigation found no merit to the allegations, the company offered its employees a class on political bias. Facebook may now hope to put the issue to rest for good, especially in this contentious political season. "Earlier this year, we shared more information about Trending in response to questions about alleged political bias in the product," the company said. "We looked into these claims and found no evidence of systematic bias. Still, making these changes to the product allows our team to make fewer individual decisions about topics. Facebook is a platform for all ideas, and we're committed to maintaining Trending as a way for people to access a breadth of ideas and commentary about a variety of topics." Zeus Kerravala, an analyst with ZK Research, said this is a smart move for Facebook, which needs to eliminate any hint of bias in its posts. "If you take the human element out, you remove all human bias," he told Computerworld. "It's very hard for most people to be completely neutral. Even if one thought they were neutral, they're likely to slant things the way of their beliefs. We're humans, not machines." Kerravala said the allegations don't seem to have hurt Facebook, but the company is trying to move ahead of the accusations, especially in this election season. "There seems to be more emotion in this political season than in years past," Kerravala added. "Haters of one party or the other could drop the platform if they viewed it to be too biased."